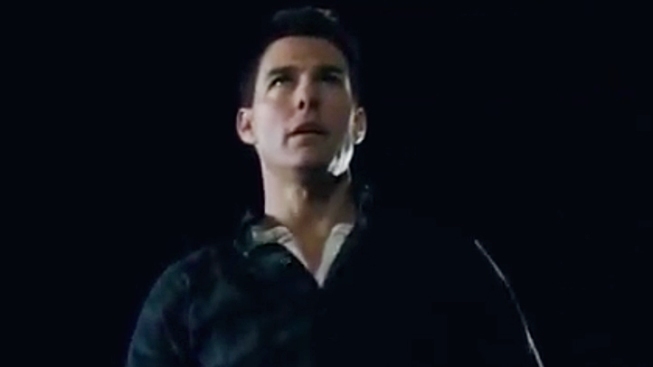 A little something to help you forget about "Rock of Ages"
Tom Cruise was easily the best thing about the recent shipwreck known as "Rock of Ages," but now comes a palette cleanser, the trailer for his next film, "Jack Reacher." Based on the Lee Childs novel "One Shot," the film stars Cruise in the title role (natch), an ex-army cop who is called in to find the sniper whose murderous rampage left five dead and the wrong man under arrest. You wouldn't know any of this from watching the new clip, however. All the teaser gives us is a guy in a hospital bed bemoaning Reacher's badassedness, and Reacher driving around in a turbo SS and beating bad guys into submission. The film was written and directed by Christopher McQuarrie, who previously worked with Cruise on "Valkyrie," and boasts a pretty sweet supposition cast that includes Rosamund Pike, Werner Herzog, Robert Duvall and David Oyelowo. Tom Cruise talks about the honor of receiving The Friars Club's Entertainment Icon Award. Also, he dishes on whether a "Top Gun" sequel and a fifth "Mission: Impossible" are in the works. Plus, out of all the movies he's done, he spills on which one is his favorite. "Jack Reacher" opens Dec. 21. With any luck the Holmes/Cruise nonsense will be behind us by then.